It has been a while since last I reviewed a whisky from Danish distillery Braunstein, but finally it is time. I have here the Library COllection release Braunstein 18:1. This is an unpeated expression that has been matured in a mix of PX sherry casks and new French oak casks. There is no age statement on this release, but expect the whisky to be in the range of 7-8 years old. 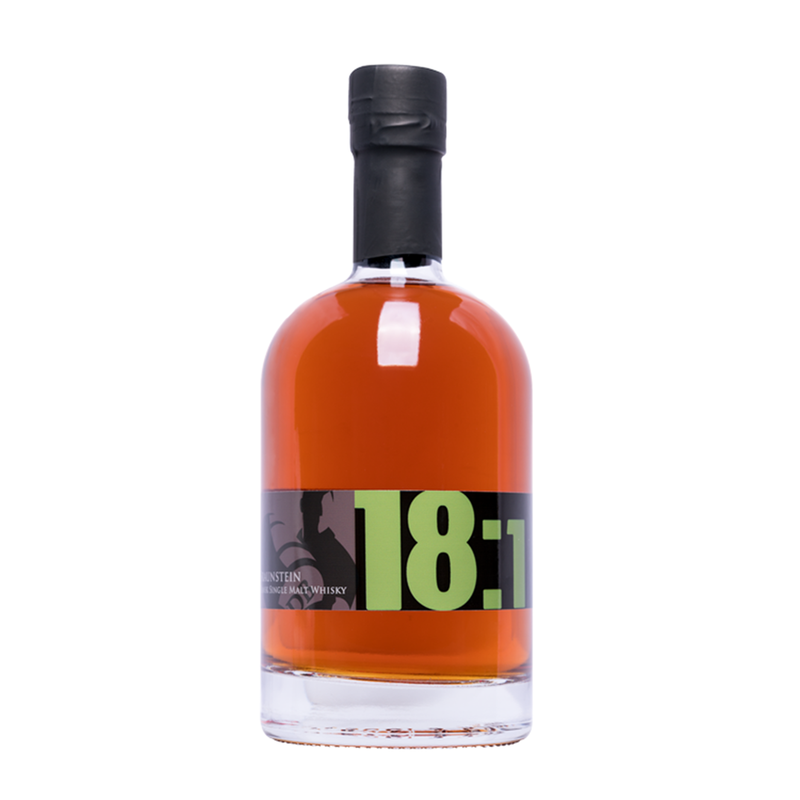 The Braunstein 18:1 is available to buy directly from the distillery at DKK 795. Nose: Cool and refined. From time to time I find that a sherry matured whisky will have this cool character, and I just love it. It remains like this even with plenty of time in the glass. I find the expected dried fruits here, of course, and mainly dates and figs. There is also a soft spiciness to it - cinnamon, white pepper, cardamom and nutmeg. Nuts and mild oakiness. A rather complex nose that just keeps developing with time. Hints of red wine now, as well as warmer notes of cinnamon and brown sugar. Taste: Medium body and almost rough in it's initial spiciness. Behind that first wave of spices I find softer notes of summer fruits, vanilla and floral honey. Finish: Medium to long finish. Still fruity and sweet - more sugary in sweetness now. Sweet cinnamon buns straight from the oven. Deep and warm spices. Hint of mint in the end. Comment: A whisky to melt the winter that is coming (on HBO, get it? ).